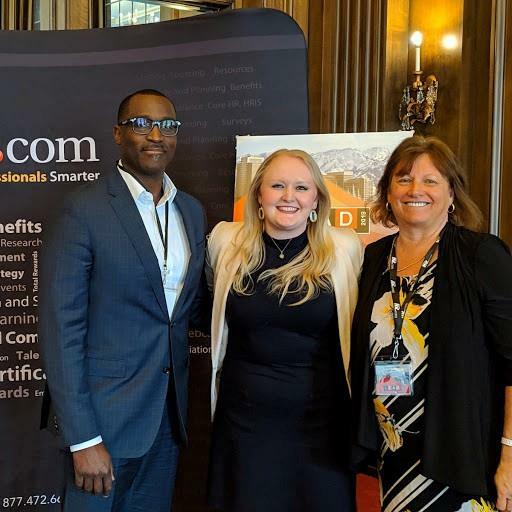 OKLAHOMA CITY—Paycom Software, Inc. (“Paycom”) (NYSE: PAYC), placed first in the 2019 Leadership Excellence and Development (LEAD) Awards presented by HR.com. Utilizing its own proprietary learning management software, Paycom won in the category of Best Innovation in Deployment of Leadership Programs, which recognizes leadership curriculum creatively designed and executed within an organization. Paycom was recognized for its internal leadership program, also known as LEAD, which stands for “Learn, Empower, Actualize, Do.” It teaches employees 360-degree leadership by “LEADing yourself, client and team through the values of learning, service and leadership.” The program includes quarterly in-person training sessions and e-learning courses through Paycom Learning, Paycom’s learning management software, as well as monthly in-person trainings, where employees discuss and enhance their business acumen. HR.com’s distinguished awards salute the world’s top leadership practitioners and programs. The awards ceremony took place in early March at the Salt Palace Convention Center in Salt Lake City, Utah. For more than 35 years, the LEAD Awards, formerly known as Leadership Excellence Awards, have identified and recognized organizations’ top leadership programs and their strategies and solutions in their yearly ranking. This year’s award winners will be featured in the April edition of the Leadership Excellence e-publication. The Leadership Excellence and Development conference is an annual two-day inspirational leadership event dedicated to helping organizations create an innovative, high-potential and passionate workforce. Both days are action-packed with leadership and HR-specific roundtables, workshops, networking opportunities and speakers. Participants learn how to take the world’s best corporate leadership practices and concepts, and put them into practice, applying them to their organizations. Thirteen keynotes share their stories and are broadcasted to hundreds of host sites across the world, providing the chance to share this life-changing event with their teams and communities. The LEAD Awards Gala celebrates award-winning leadership and development programs. HR.com strives to help create inspired workforces by making HR professionals smarter. Over 1,100,000 HR professionals turn to HR.com as the trusted resource for education, career development and compliance: thousands of lessons in the HR Genius on-demand training library, 400-plus webcasts yearly, the largest HR certification exam preparation practice supporting SHRM and HRCI certifications, a global leadership annual event, 12 monthly themed interactive HR e-publications and 35-plus primary research reports. HR.com offers the best training and networking for HR professionals globally, 24/7/365.